PARENTS: it is YOUR responsibility to assure that your child is dressed appropriately. TWO ISSUES WE STRUGGLE WITH EVERY YEAR: no shorts and no uncovered shoulders - no matter the age. 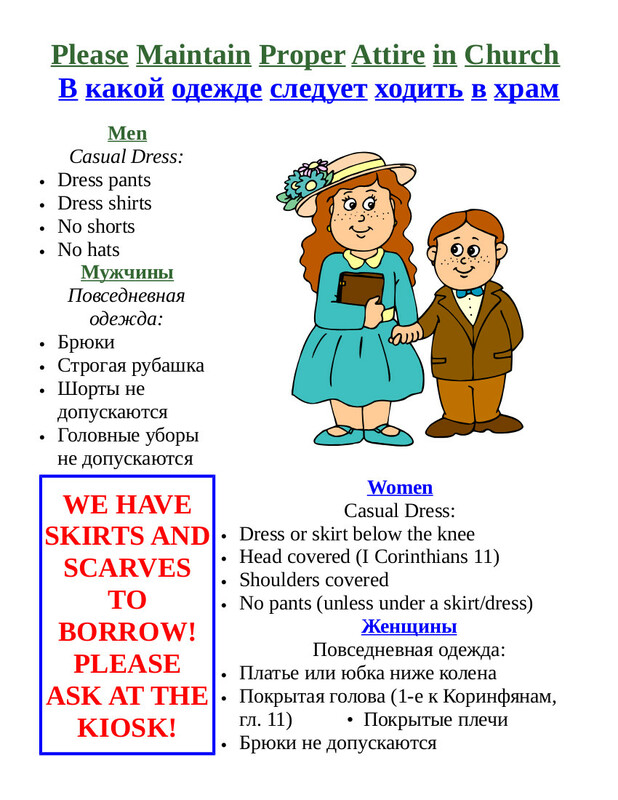 ANOTHER ISSUE WE STRUGGLE WITH: we have skirts and shawls to share if needed. But these are not items to be used as weapons in the attack of a visitor, but to be offered lovingly if it is clear that someone feels out of place because they innocently came to church dressed inappropriately. Please contact Fr. Gregory with questions or concerns.